Shark-Free stalwarts Ellen Rosenfeld and Rory Dougall battled it out in a 3 round match. 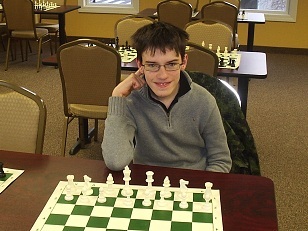 In game one youth prevailed as Rory demonstrated the power of a discovered attack winning Ellen's queen. But the tenacious Rosenfeld subdued the yougnster in the final two games.